Hello Everybody! 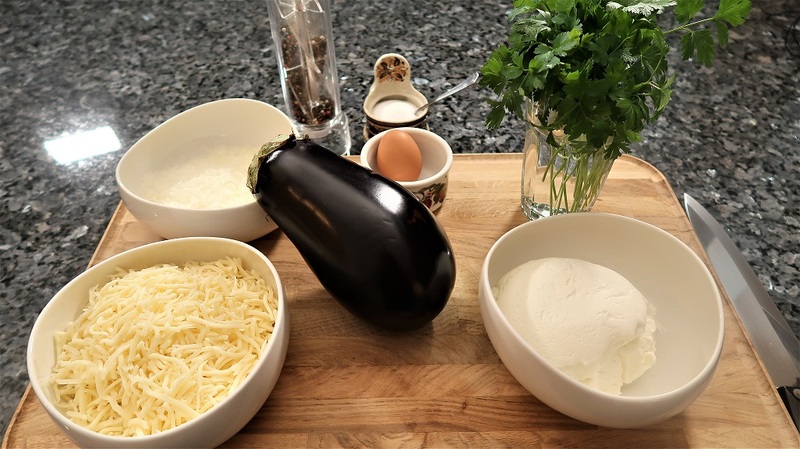 Today I am sharing with you my best eggplant rollatini recipe! 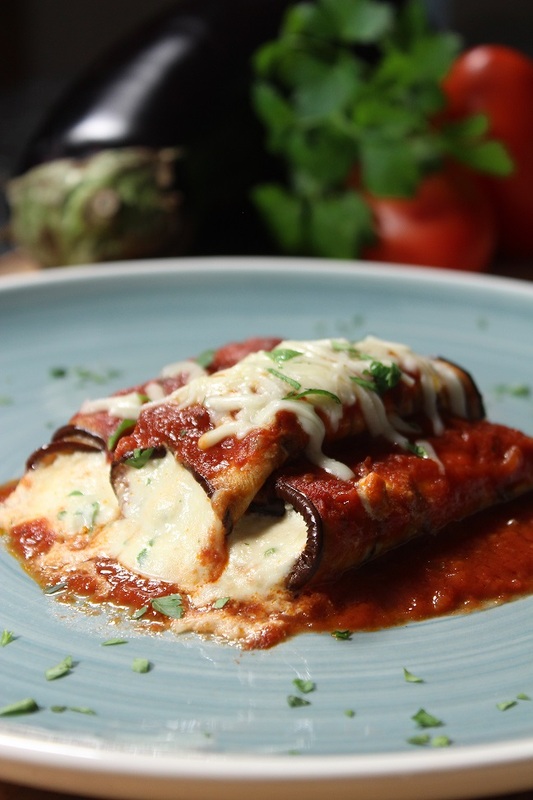 I love serving eggplant rollatini as a delicious appetizer. Watch the full video to follow along as I cook this recipe step by step or continue scrolling for the written recipe. Begin by coating a baking sheet with olive oil. Slice the ends off of the eggplant. Holding the eggplant vertically, cut lengthwise thin slices. 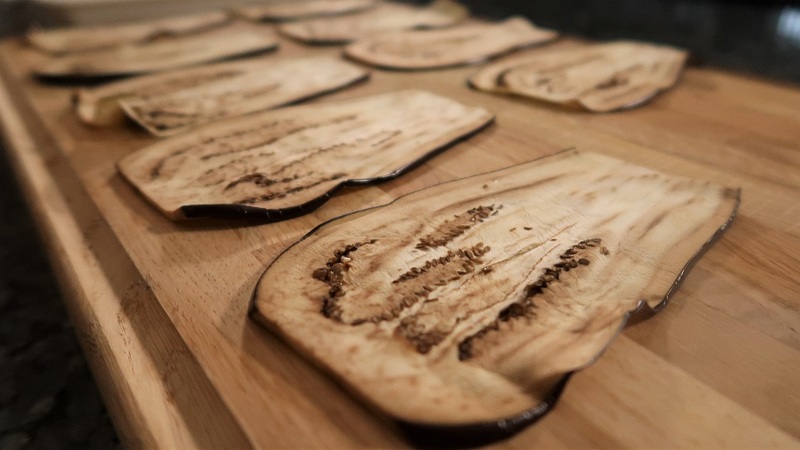 Place the eggplant slices onto the baking sheet and bake in the oven for about 4 minutes. Remove from the oven and let cool off before rolling. To make the cheese filling, in a bowl, mix the ricotta, pecorino cheese, 1/2 of the mozzarella, parsley, egg, black pepper, and salt. Next, spread a ladle of sauce evenly on the bottom of a baking pan. Once the eggplant has cooled off, place a spoonful of the cheese filling at the wider end of the eggplant slices and then roll the eggplant over itself. 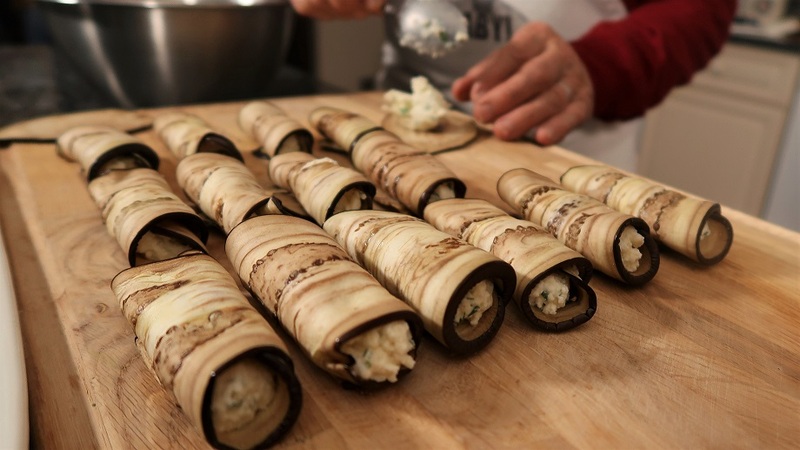 Place the eggplant roll with the loose end on the bottom of the pan so it does not unroll while baking. Continue these steps until the baking pan is full. Cover the top of the eggplant rollatini’s with another layer of sauce. Bake in the oven for 30 minutes. After 30 minutes, remove from the oven and sprinkle the rest of the mozzarella cheese on top and place back into the oven for about 5 minutes to let the cheese melt. Remove from the oven and serve while still hot. Enjoy and cin cin!